The Rajya Sabha Secretariat has, on 2 February, sent Breach of Privilege notice to Supreme Court advocate and Swaraj Abhiyan leader, Prashant Bhushan, for premature disclosure of CAG report on allocation of D6 Block in Krishna Godavari (KG) basin to the Reliance Group in the press before the same was laid on the Table of the House. KC Tyagi, Secretary General and spokesperson of Janata Dal (U), who is also a member of the Rajya Sabha Committee on Privileges, had given the notice on 1 July 2014. The notice says that the committee, while considering the matter at its sitting held on 6 October 2015 decided to hear Prashant Bhushan in the matter. The notice asked Prashant Bhushan to appear in person before the Committee of Privileges at 3 pm on 10 February in Room No 63, First Floor, Parliament House, New Delhi. In a statement, Prashant Bhushan has described the notice as exposing the total ignorance of the fundamental rights of citizens, and shows total lack of understanding of what constitutes breach of privilege. Prashant Bhushan further said that according to Supreme Court judgments, privileges of Parliament are only those privileges without which the Parliament cannot function. It is absurd to suggest that the disclosure of a CAG report to be tabled in Parliament can in any manner prevent or impede the functioning of Parliament; perhaps the time has come to educate MPs about the notion of breach of privilege, he quipped. In its report, CAG has found that Reliance Industries Limited indulged in gold-plating and over-invoicing of expenditure, and also over-estimation of reserves. 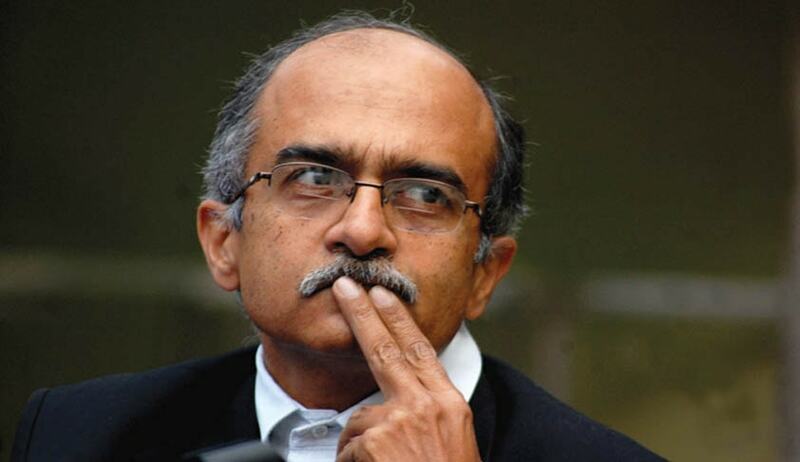 According to Prashant Bhushan, the CAG has confirmed the allegations in the PIL filed by Common Cause, for which he is the counsel in the Supreme Court. The prayer in the petition is that the Government should take the gas fields back from RIL. Gold-plating, according to “Gas Wars”, a book authored by well-known journalist, Paranjoy Guha Thakurta, who has been named as the next Editor of the Economic and Political Weekly, signifies a superfluous increase in capital expenditure or expenditure on plant and equipment. The alleged gold-plating by RIL became an important issue because it influenced the economics and the viability of extracting natural gas from the KG-D6 block, the book says. The Supreme Court’s three-Judge bench, comprising Justice TS Thakur, and justices J Chelameswar and Kurian Joseph heard the Common Cause petition along with the one filed by Gurudas Dasgupta, CPI leader. The last order in the case, passed by the bench on 30 March 2015 can be read here.